It has been a long time Mr Robot*, very well said. Sorry I've been a bit MIA the last few months, life has just been a bit busy recently and I've not really had the time to put into blogging. If you are subscribed to my Youtube channel you'll know I've still being uploading pretty regularly there, although I'm actually now just about to take a bit of a break there too as something has to give! Blogging has always been a fun hobby for me but if life gets in the way then unfortunately it ends up going to the back of the queue - it's better that than me forcing myself to keep it updated, at which point it becomes no fun at all. Anyway, things are still very busy at the moment but I was having one of those days where I fancied sitting down to write so I thought I'd put together a wee update post to fill you in on what's been happening over the last few months. 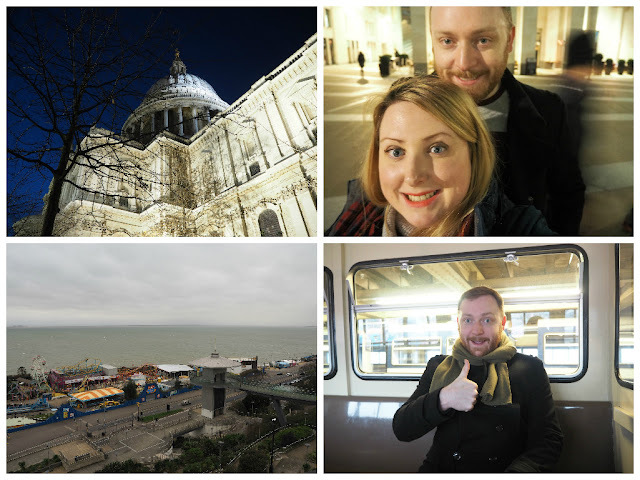 Back in February Blair and I travelled down South for a long weekend in London and Southend. It was a fun few days involving fancy hotel rooms, playing tourists at St Pauls Cathedral (and taking selfies outside the First Dates restaurant! 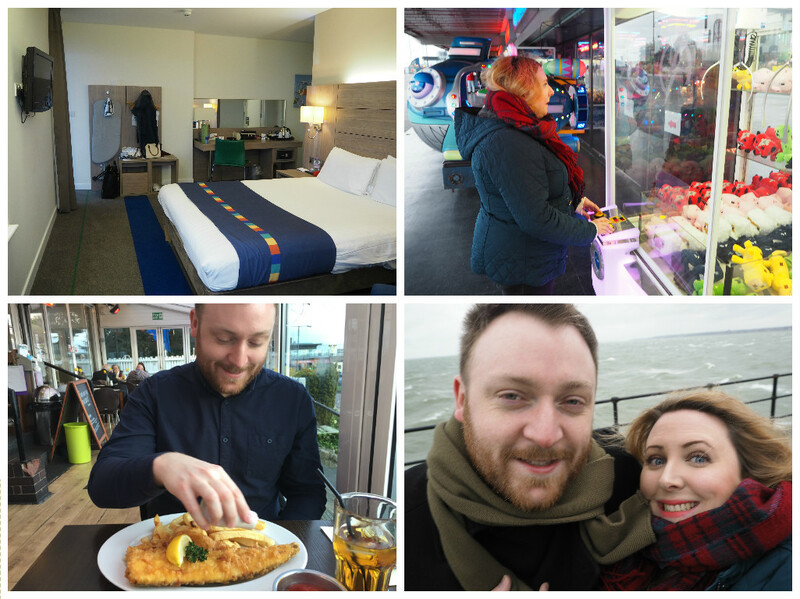 ), eating fish and chips by the sea, almost getting blown away on the worlds' longest pier, reliving our childhood playing the penny machines in the arcades, and visiting B's family. One of the highlights for me was seeing the Crime Exhibition at the Museum of London. This was really interesting, with lots of real-life crime stories and evidence, e.g. a burnt out laptop from the Glasgow Airport bombings - grim, but fascinating! I turned 31 in March and so we spent a weekend in Yorkshire at a place called Crathorne Hall. The hotel was in a tiny little village in the middle of nowhere so it was a proper chilled out stay. 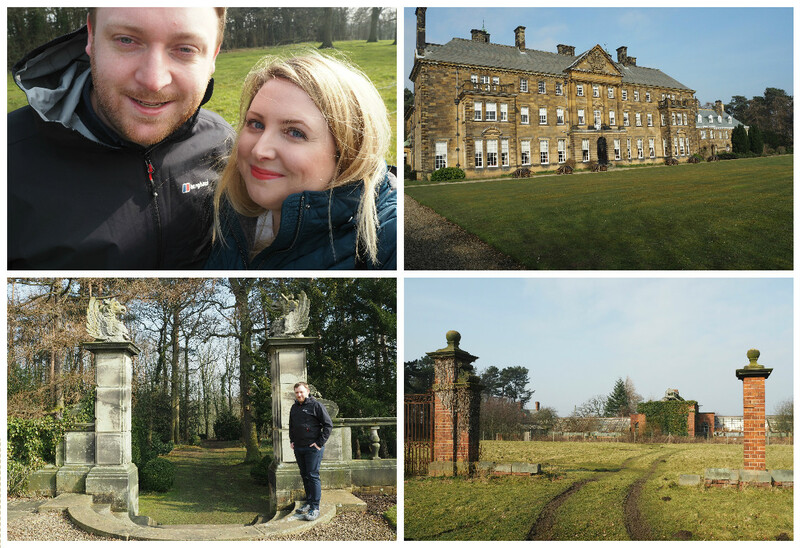 We ordered lots of room service, watched DVD's, went for walks in the beautiful grounds, and ate lunch at the local pub. Bliss! I feel like I'm the last one to the party, but I was sent a beautiful adult colouring book recently (Floribunda by Leila Duly) and I now totally get the hype - it's such a relaxing activity! I bought myself some coloured pencils from Paper Tiger which are double ended (this excited me greatly) and I'm loving doing a bit of colouring in whilst watching TV. It beats playing Candy Crush anyway. Speaking of new hobbies - I've joined a choir! It's something I've always fancied doing, so I did a bit of research over Christmas and decided to pop along to a taster class with Voice of the Town at the end of January. I absolutely loved it (it brought back memories of being in the junior and senior choirs in high school) so I signed up for the term and I've been going to weekly rehearsals ever since. At the moment we're rehearsing for a show we're singing in at the end of May - it's a tour called A Touch of Class with Iain Waite and Natalie Cole from Strictly Come Dancing. We're doing 6 songs, and my class are singing at 3 dates in Scotland - Dunfermline, Perth and Edinburgh. The Edinburgh one is at the Usher Hall which is very exciting! So for the next few weeks I'll be listening to our guide tracks on repeat on my headphones until I'm singing it in my sleep. Last month I took on the role of cat-sitter for Kirsty while her and Adam were on holiday, so this little guy became my wee pal for a few days. Isn't he handsome??! I just popped into the flat once a day to feed and entertain him for an hour or two before leaving him to his own devices. I don't think he was particularly happy to have me there at first (and spent most of the first day running away) but in the end he was a wee sook and didn't even flinch when I picked him up for a cuddle. I took B round on the Saturday and he's now on board for getting a cat once we buy a house (yaaaay). So thanks Fitz! It's been over 6 months now since we got married - I can't believe it's gone so fast! We were sent our wedding video recently and it was so much fun watching it all back - it was such an amazing day! I edited a short version which you can watch above. On the subject of our wedding - we were featured in the Spring edition of the Scottish Wedding Directory! 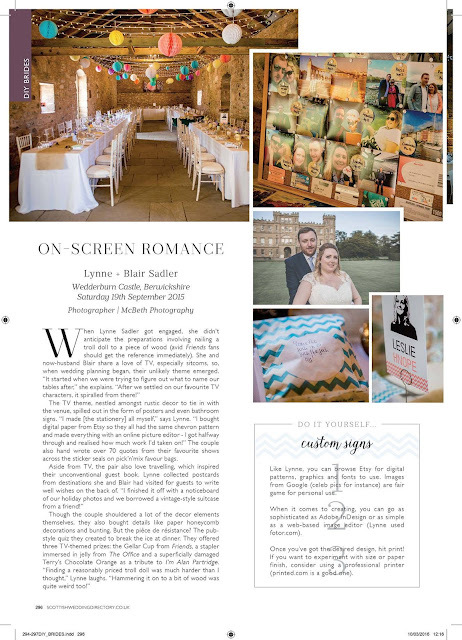 I did a telephone interview a few months ago after someone from SWD found my wedding blog post, and so we've got a mention in a feature about DIY weddings. One of my clients actually emailed me the other day to say she'd spotted me in their copy - fame at last, haha! *Speaking of which....B and I recently binge watched Mr Robot after buying series 1 on DVD (cos we aint signing up to Amazon Prime!) and it was gooooood! I definitely recommend giving it a watch.